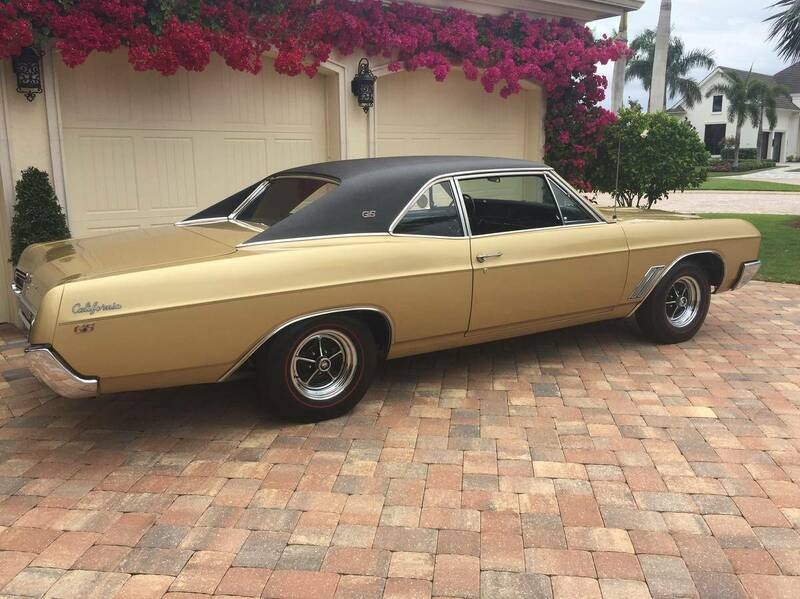 For sale is a very special 1967 Buick Skylark. 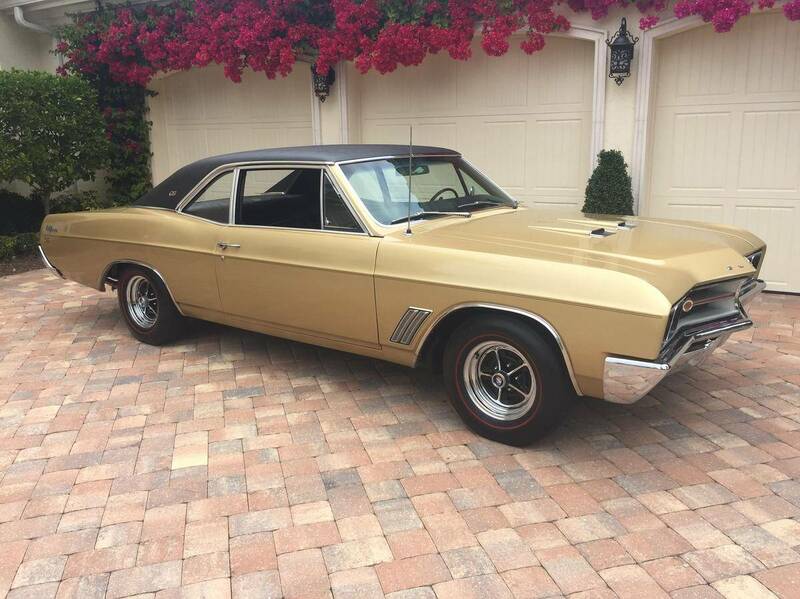 From 1967 thru 1969 Buick built the “California” GS coupe, but in 1967 they were only available through California Buick dealers, they were marketed as jr. muscle cars targeted at young adults. They were delivered with the 340 cu.in. 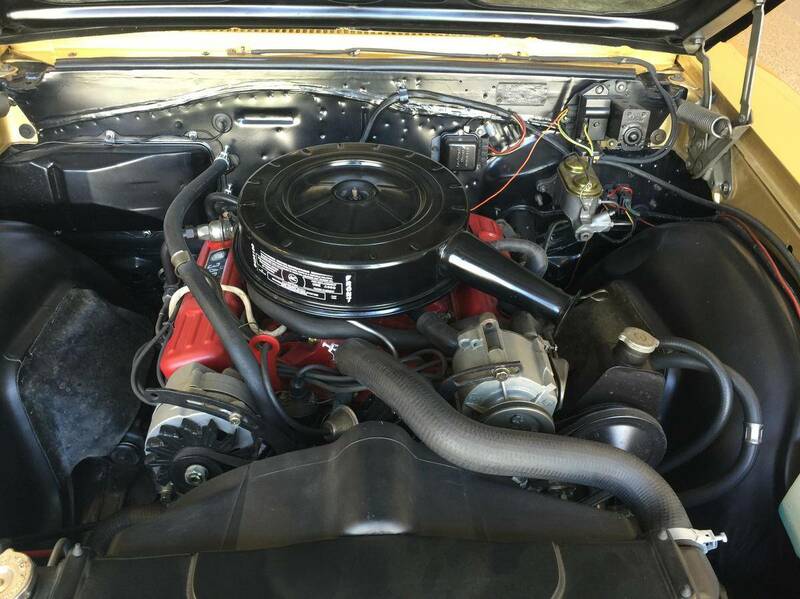 high performance engine with 4 bbl carb producing 260 hp, automatic transmission, power steering, black vinyl top, handling package, chrome wheels, and tinted windshield as standard equipment. The California GS had it own badging designating them as special. California’s were very low production and rarely seen today. 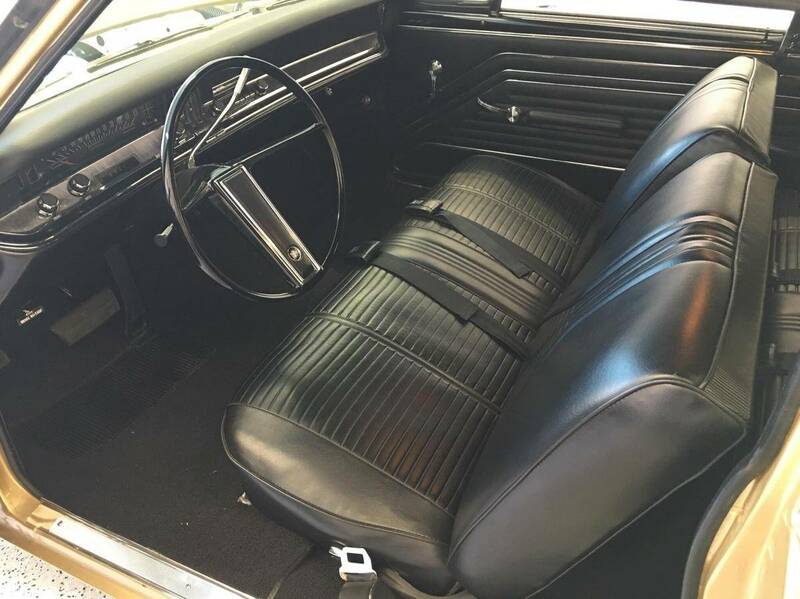 This California GS has undergone a quality restoration which has been rewarded with AACA junior, and then a senior award at the AACA’s annual Hershey meet. It has also been awarded a Senior Gold award at the Buick Club of America show as well. 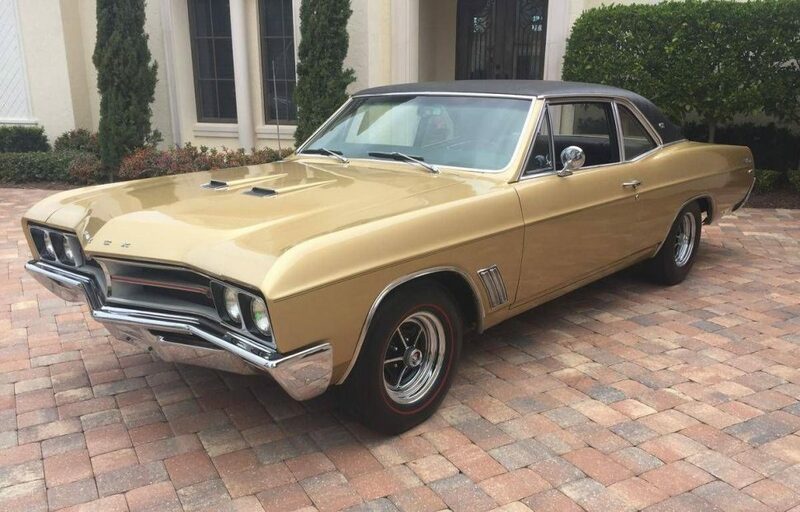 Finished in Gold Mist with a black vinyl top and interior, chrome wheels with red line tires it has a great look.